One of the reasons why the Victorian era which lasted from 1837 to 1901 is so well known and remembered is for the inventions which took place during this period. 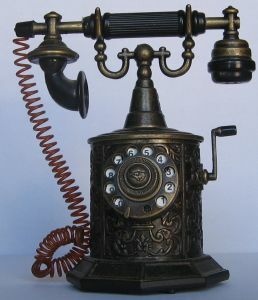 Things which we use in our daily lives are a product of the Victorian inventions. This article will try to answer the question What the Victorians did for us?. The year 1838 was the year when the first photographs were taken by Louis Daguerre in France and William Henry Fox-Talbot in Britain. Closely followed by that was the invention of the Penny Black stamp with Queen Victoria’s face on it against a black background in the year 1840. This was the first and the most adhesive stamp to be used. The period of the 1840s till the early 1850s was characterised by the growing popularity for railways. It was during Queen Victoria’s reign that steam railways commenced. Railways were considered to be a cheaper mode of transport as compared to canal boats and horse drawn carriages consequently leading in the construction of almost 13000 kms of railway lines by various private companies all over Britain. A further development was the invention of the first electric train by a person of German origin in the year 1879. 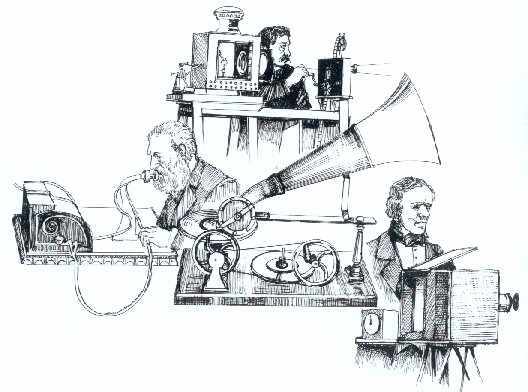 The Electric telegraph which was developed by William Cooke and Charles Wheatstone was also one of the major inventions which took place during the Victorian era. The telephone, invented by Alexander Graham Bell in 1876, is an invention which finds an important place in our daily lives even today. The Electric bulb which was invented in the year 1879 by Thomas Edison soon started replacing the traditional dim yellow gas light, oil lamps, and candlelight. As a matter of fact, even cars were a product of Victorian period though only the rich people could afford them. It was Karl Benz who designed the first car in the year 1885. This car consisted of three wheelers and contained gas engine of one cylinder. The speed limit was four miles per hour for cars. A special attendant was required to walk in front of the car carrying a red flag as a warning sign. While Guglielmo Marconi, from Italy, took pride in inventing the radio in the year 1895, James Starley from the United Kingdom invented the bicycle. One of the most striking features of this bicycle was that it had no brakes and the front wheel was almost 6 feet from top to bottom. Also, the seat was on the wheel. This list should also include some other interesting inventions like Christmas Card by John Horsely, Concrete which is used for construction purposes by Monier; sewing machine by Elias Howe; safety match, petrol, oil, Ice cream, X-rays, rubber tyres, pneumatic tyres, gramophone, electric tram, underground railway in London, typewriter, horse drawn tram, as well as the first hydro-electric power station which produced electricity from fast flowing water etc which find a place even in today’s day to day life, are all a gift from the Victorian era. Here is a timeline of inventions during the Victorian era. Please note that not inventions are from Britain, but includes inventions from other countries like USA, France etc. as well. This list of inventions during the Victorian era is surely not an exhaustive one but hope it highlights the things Victorians did for us.